If you’ve ever taken an interest in European history or secretly enjoyed history at school or perhaps you have children you want to get interested in that huge general topic, take yourself to Small Crown Production’s 1066: The Bayeux Tapestry Brought to Life, performed in the Collector’s Cafe at the Queensland Museum. Some context: the Bayeux Tapestry is an embroidered cloth nearly 70 metres in length that tells with beautiful detail the story of Harold Earl of Essex and Duke William of Normandy, who were both at one time designated heirs to the crown of England. When King Edward the Confessor died in 1066, Harold was proclaimed King, inciting the Norman invasion of England which culminated in the Battle of Hastings. William (known to history as William the Conqueror) triumphed and was crowned King, beginning the Norman occupation of England. 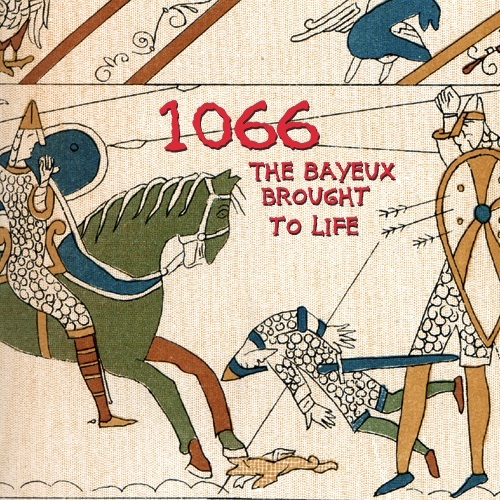 1066: The Bayeux Tapestry Brought to Life opens where the tapestry begins, with events years prior to the final battle. First up we meet Harold Earl of Essex, a great warrior devoted to England, who having successfully quelled uprisings in Wales has been charged by King Edward to travel to Normandy and inform Duke William that he (William) is the chosen heir to the crown of England. Not a pleasant task for a man who thought he would be named so himself. Both men were skilled soldiers and politicians and the show sets up their differences in personality and perspective and how they came to believe that they were the rightful heir to the throne of England. Small Crown Productions have done a tremendous job of fitting a complex story with a cast of thousands in to one hour and a cast of seven. They are helped by the ingenious shifting scenery which could be taken apart to construct keeps, ships and castles. I was not the only audience member who when watching the cast yell heave to and construct the ships for the invasion, wanted to leap up and lend a hand. Simple block-coloured costumes helped the audience identify the key players as each cast member played several roles on both sides of the feud. The cast were clearly enjoying themselves and worked hard to deliver the story in all its’ dramatic glory. James Trigg, who portrayed Harold, has the square jaw, beard and booming voice evocative of a youthful Henry VIII and a great seriousness of purpose, which contrasted well to the more jovial but equally determined William, played by Silvan Rus. The team behind the show, lighting, sounds, animation, costuming and of course the Director Paul Adams, have also done a tremendous job on all the important minutiae the made the performance so enjoyable. If you want to brush up on the tale before the performance, there is a scroll explaining the events and key scenes from the tapestry for you to peruse. The scroll also pointed out key characters and pieces of scenery that would be appearing in the production. Small Crown Production’s 1066: The Bayeux Tapestry Brought to Life is a dramatic piece of history brought to life with great enthusiasm. 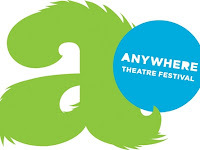 Educational and enjoyable, it is an excellent original production. Review of 1066: The Bayeux Brought to Life, presented as part of the 2013 Anywhere Theatre Festival. Tickets can be purchased through the Anywhere Theatre Festival website or at the door. See also the Small Crown Productions website or follow them on Twitter.